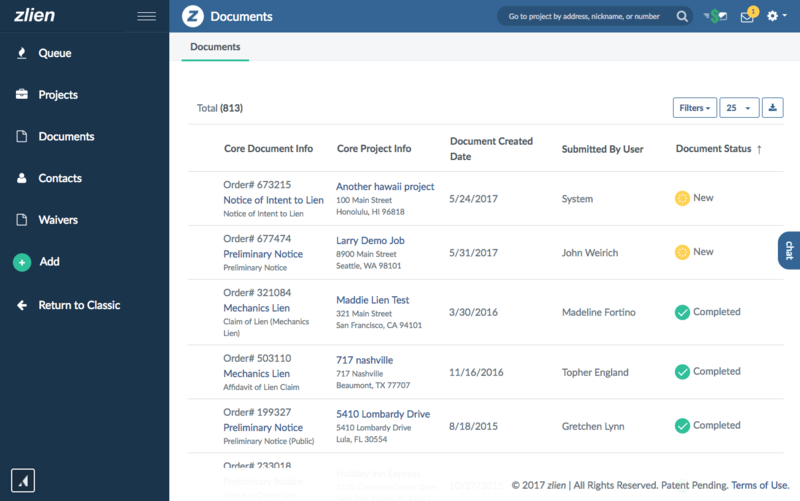 See how the zlien makes it easy to manage preliminary notices, lien waivers, and mechanics lien compliance. zlien makes credit management and the payment process fair, easy, and accurate. "It's a perfect tool for AR. Prevents discussions when things get hard for final payment. It works in all states, is easily manageable, and is "preventive", which is the most creative and productive dealing with collections. We drastically reduce collections and time." "zlien offers the valuable asset of doing the work for you while making sure you are aware of all timelines pertaining to your jobs and by doing so, allows you to protect your companies at a more effective level." Ditch the spreadsheets. Leverage zlien's user-friendly platform to take control of your payments, and your work day.